Ever had a good idea which, when executed, didn’t come off quite as you planned? 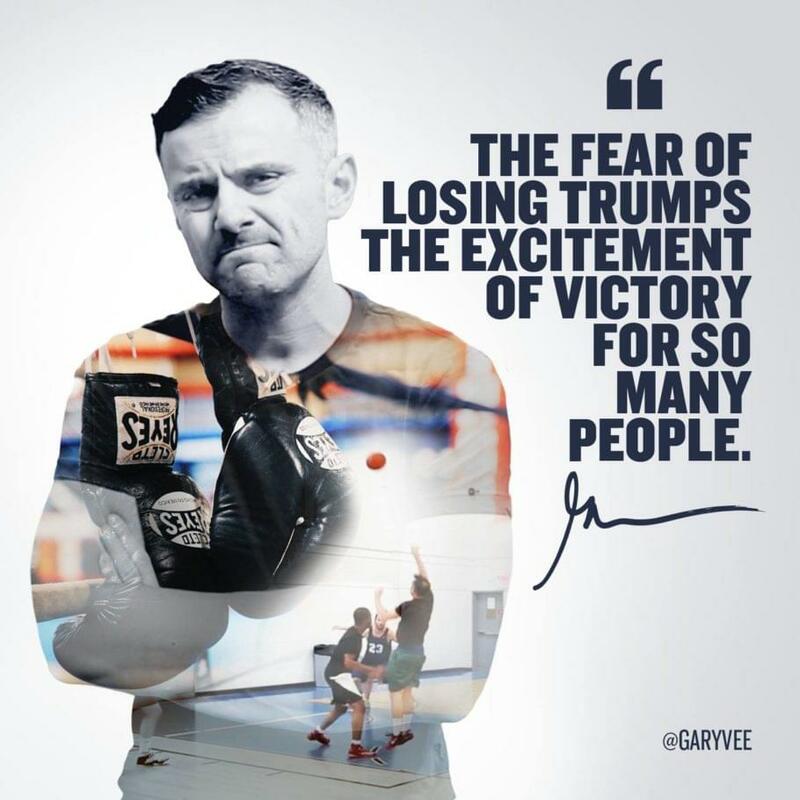 I thought I had discovered a clever way to get Gary Vaynerchuk‘s attention, and perhaps get him to speak at Influence Summit 2017, our virtual event all about building a personal brand, public speaking, writing, PR, marketing, social media, etc. Instead, I got a cease and desist letter from Gary’s legal counsel. Here’s how it all went down. Now that you’ve seen those, you might already have an inkling of what I had planned for Gary. 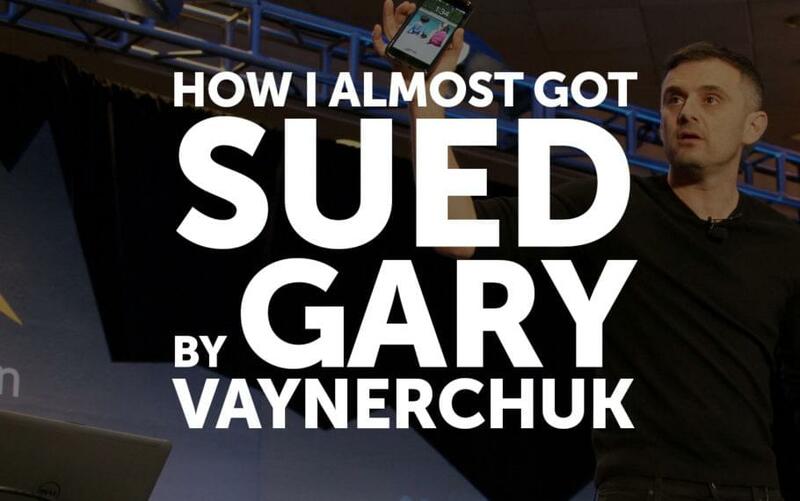 No, I didn’t plan on having a fake Gary Vaynerchuk at our event, I wasn’t about to go that far, but here’s what we came up with. This is the actual script/plan we produced. Objective: To recruit high profiles like Gary V, Tony Robbins, etc. for the virtual summit. Also to get publicity for the summit. Background: Watch https://www.youtube.com/watch?v=zDSVwUlpxH4 and https://www.youtube.com/watch?v=SHWPaF10gpM [these are the two videos linked above] with the captions on. The format of this video is designed to be similar to the first few minutes, and borrows the idea generally. 2. Josh and Jason talking back and forth similar to the scene that happens here. It could be Josh standing next to Jason’s cubicle, us talking in a conf room, or just standing and talking to each other. Opening, Influence Summit graphics (see https://influencesummit.co/), with words “How we got Gary Vaynerchuk to keynote Influence Summit 2017, September 25-28.” 3-5 seconds. First scene: I’m sitting next to Jason, looking off screen, being interviewed, like the German guys. Josh: September 25th my company Influencer Inc is putting on a virtual summit to help people learn how to get paid to speak, get into major media, land a book deal, and build their personal brand. It’s called Influence Summit, and early on we were able to get some great speakers like Adam Grant, Cynthia Johnson, and Jay Baer, who are fantastic, but we still needed someone super high profile, like ultra celebrity status. Scene 2 2-3 seconds: Josh and Jason in office, obviously talking to each other. Josh standing, Jason seated. This should go under the tail end of the speaking above, as part of the transition. Scene 3: Josh (close up, just my face-ish). This will switch back and forth between Josh’s face and Jason’s. Josh: Who could we book that everyone in our audience knows, someone super famous, but also very relevant to this whole influence thing. Cut to Jason’s face: Super famous? Josh: Yeah, like Gary Vaynerchuk. Jason: How much does he cost? Back to Josh: At least $100,000. Jason: Do you have $100,000? Scene 4: Back to interview setup. Josh: (speaking about Jason) He’s always so negative about my ideas. Scene 5: Back to office scene. Josh: What if we could get him to speak for free? Jason: Why would he speak for free? Josh: Because we’re going to have 10,000 people watch his talk? Jason: Shrugs, as in “Mmm, ok, that’s a decent reason.” but still looks doubtful. Josh: Who knows, we might get 20,000. We’ve got a guy pushing this out to his email list of 250,000 subscribers, and we’ve got 50 other speakers who will all be promoting it. Jason: Have you already reached out to him? Josh: Yes, I sent him an email. Jason: When do you need to record the interview with him? Josh: No later than September 24th, but the sooner the better. Jason: So what are you going to do? Josh: We should make a video. Josh: About how we got him to be part of the conference. Jason: But he’s not part of the conference. Josh: Doesn’t matter. 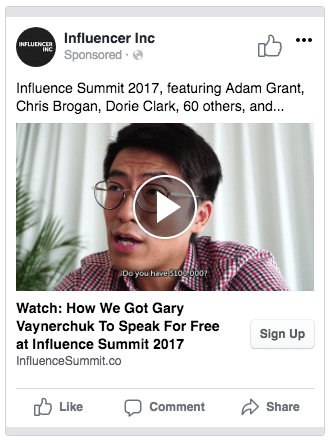 We’ll make the video anyway, and then we put the video in a Facebook ad, and we use Facebook’s targeting so that the video only shows up to people who work with him. Eventually someone will show it to him, and then we can tell him about the summit in the video, and how he doesn’t have to leave his office, and we can record it at his convenience, and he doesn’t have to prepare any slides, it’s just me interviewing him, like a podcast, but with video, super easy. Then while he’s watching the video on Facebook I’ll talk to him and pitch him. Jason: You mean like right now? Josh: Well yeah, if he’s watching right now. Scene 7: Close up on Josh’s face, looking straight at camera. Josh: Oh, hey Gary! So how about it, are you in? You’ll notice we only say Gary’s name twice. So we can film those scenes multiple times with other names, so we can target multiple big names, and if we get just one of them then we’ve got a great story. “Nah, Gary’s cool, he’ll think it’s funny, he’ll appreciate the hustle,” was my response. Jason, the managing director of my marketing agency’s Hong Kong office, played the role of my foil. 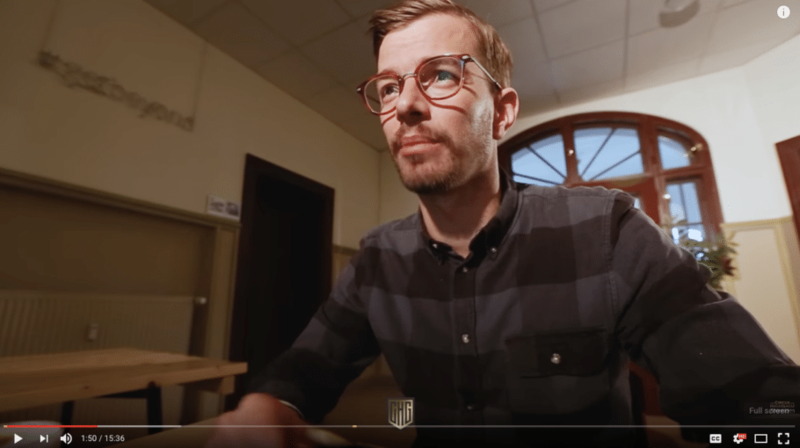 We talked to a cowork space we know in Shenzhen, China, scheduled the shoot with my filmer, Jay, showed up, and recorded it all in about an hour. 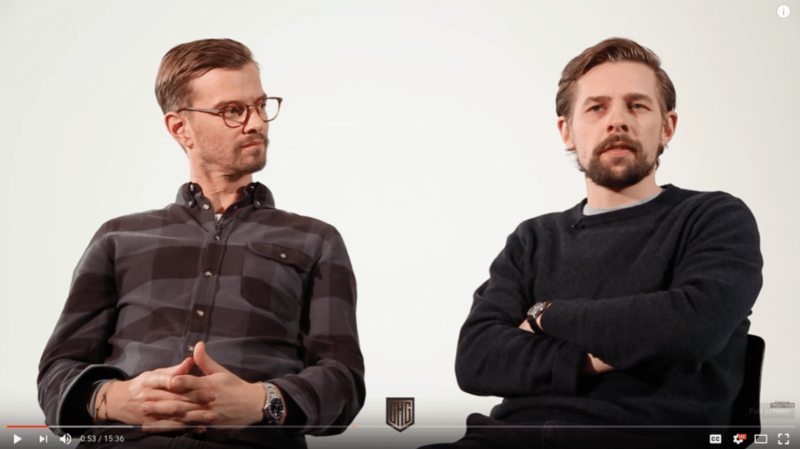 As you can tell, it doesn’t have the high production value of the German duo’s piece, because we don’t run a TV show like they do. In retrospect some better lighting would have helped a lot. Also, a better actor in the main role, but we were on a tight timeline and budget. 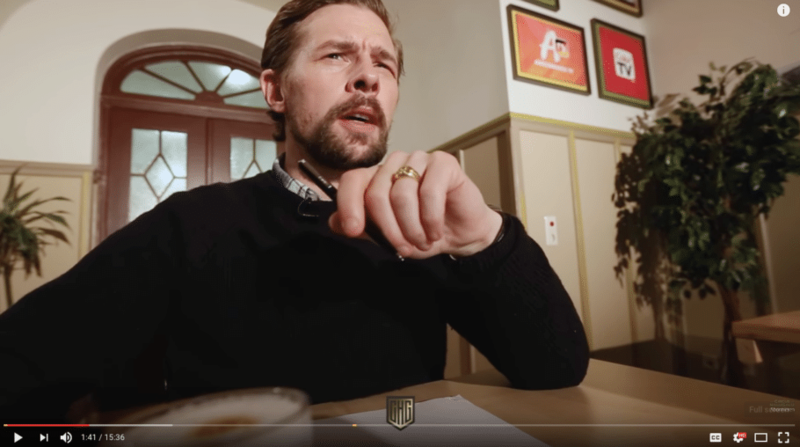 We shot the name parts over again with Tony Robbins, Richard Branson, and Daymond John, thinking we would target them as well. In light of what happened next it’s probably a good idea we tested this out with Gary first. I live in China, so we started this ad right before I went to bed. It’s a good thing I have ADHD, because without it I probably wouldn’t have slept so well, but I managed to forget about it while falling asleep. Lawyers, right? This is why nobody can have any fun, these days. The good news is we only spend $12.63. The bad news is I’m not sure anyone actually watched the entire video to even get the joke, although I would assume someone did. The single click? I’m guessing it was the lawyer looking for contact info. 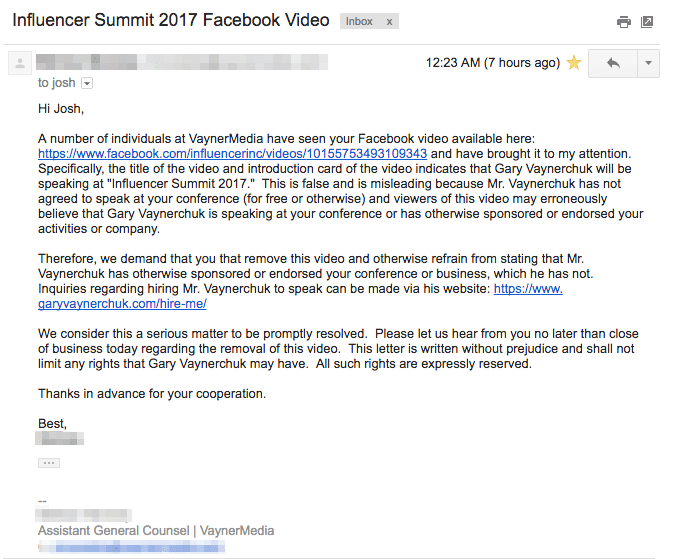 I’d still like to think that if Gary had seen the ad he’d think it’s funny and he’d give us a shot to interview him for the summit, but when you’ve got layers of bureaucracy around you sometimes things don’t filter all the way up. Or perhaps Gary did see it but he felt like if he responded positively to this then a bunch of people would start doing similar things and then it’d be a headache he’d have to deal with all the time. I fully understand the perspective of the lawyers. I can’t pretend to know exactly how Gary might interpret all this. Have you ever launched a clever plan only to have it blow up in your face? Tell us about it in the comments below.